MEXICO CITY — Recreational anglers can legally catch Pacific bluefin tuna in Mexican waters, according to a notice filed in Mexico’s official diary of federal actions. 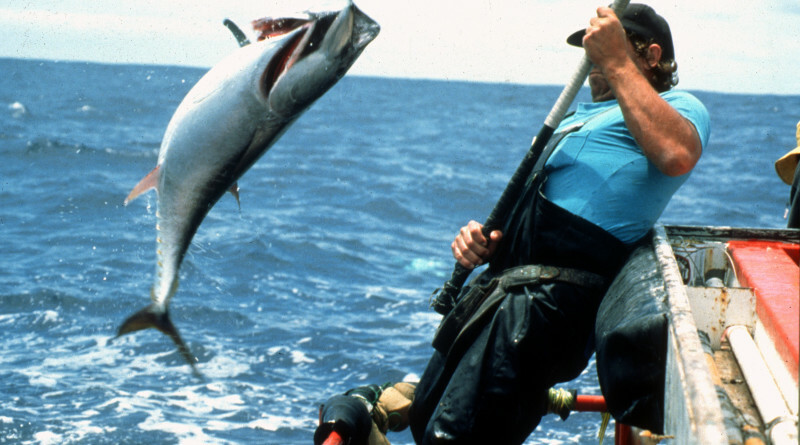 Mexico imposed a ban on bluefin tuna fishing along its coast in mid-2014. Anglers were allowed to catch-and-release bluefin since April 2. The tuna species is now open for fishing within international limits but only while aboard a Mexico-flagged vessel while in Mexican waters. 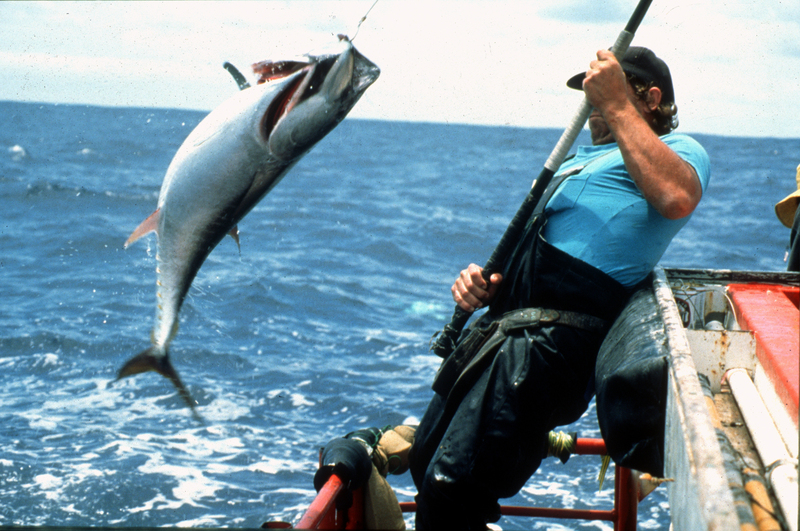 Recreational anglers are limited to two bluefin tuna per day. The federal notice did not include details of enforcement or punishment. Sportfishing vessels registered in the United States or private boats flying the American flag appear to be prohibited from catching Pacific bluefin tuna in Mexican waters. Details were not available of how the federal notice impacts American boaters who catch limits of bluefin south of the border but in a vessel not registered in Mexico. International, federal and state fisheries approved new rules in 2014 governing the commercial and recreational take of Pacific bluefin tuna. Commercial vessels in California, for example, were required to reduce bluefin tuna catches by 40 percent. The bag limit for recreational anglers was reduced from 10 to 2 bluefin. Updated regulations also altered how the tuna species are processed at sea. Limit catches of bluefin tuna were in effect in United States waters as of July 30. A final rule issued by the National Oceanic and Atmospheric Administration (NOAA) in July adopted a recommendation by the Pacific Fisheries Management Council (PFMC) to reduce the previous recreational bag limit by 80 percent. Commercial vessels from the United States can only catch 600 metric tons of bluefin tuna in 2015 and 2016 combined; the annual cap is 425 metric tons of bluefin tuna caught. California Department of Fish and Wildlife (DFW) staff stated international limits on bluefin were enacted to stifle the species’ declining population. NOAA declared bluefin tuna as an overfished species. The Inter-American Tropical Tuna Commission (IATTC) estimated in 2012 the bluefin tuna stock to be less than 4 percent of its un-fished biomass. Agencies such as PFMC spearheaded efforts to rebuild the bluefin biomass and return the stock to healthy and sustainable levels. Whether commercial fisheries or recreational anglers were responsible for overfishing bluefin populations, thus contributing to the declining biomass, has been a subject of discussion since PFMC officials looked into regulating bluefin catches. A fishery status report published earlier this year by IATTC stated most bluefin tuna in the Eastern Pacific Ocean (EPO) are caught by purse seiners. IATTC reported 5,266 metric tons of bluefin tuna were caught in the EPO last year; 3,171 metric tons of bluefin tuna were reported as caught so far in 2015. Commercial vessels from the United States reeled in 404 metric tons of bluefin tuna in 2014 and 91 metric tons, to date, this year, according to IATTC statistics. More information about IATTC reports and bluefin tuna limits can be found at NOAA’s West Coast Fisheries website.